Took a trip to the Evangelion art exhibition today at the “No Vacancy” gallery in Melbourne. 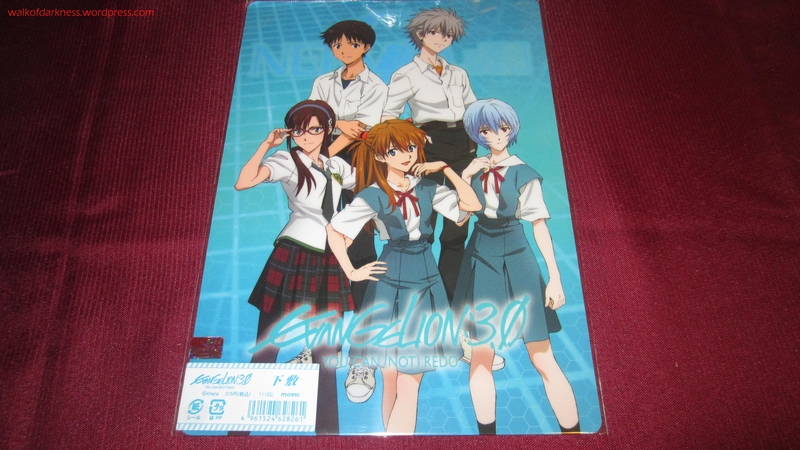 Although I’m not particularly interested the Eva series or movies, I was very curious about the artworks being showcased at the gallery, that and the fact that some Japanese exclusive theatrical merchandise for “Evangelion: 3.0 You Can (Not) Redo.” was being sold lol. 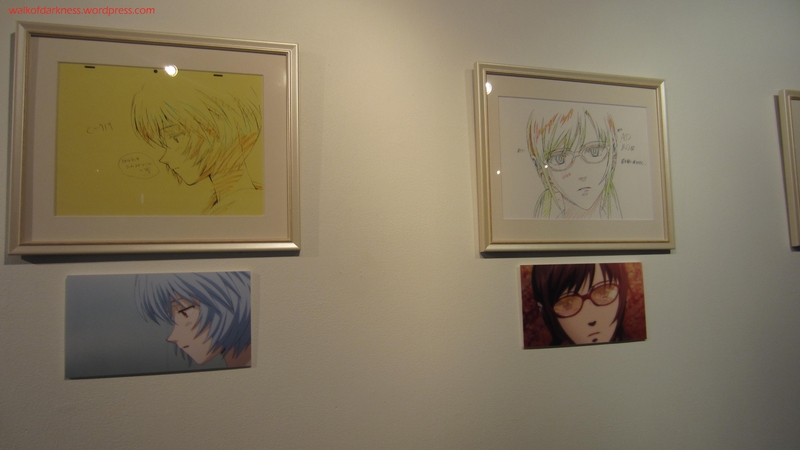 The art exhibition for Evangelion is currently on a tour around Australia that is being arranged by Madman Entertainment. 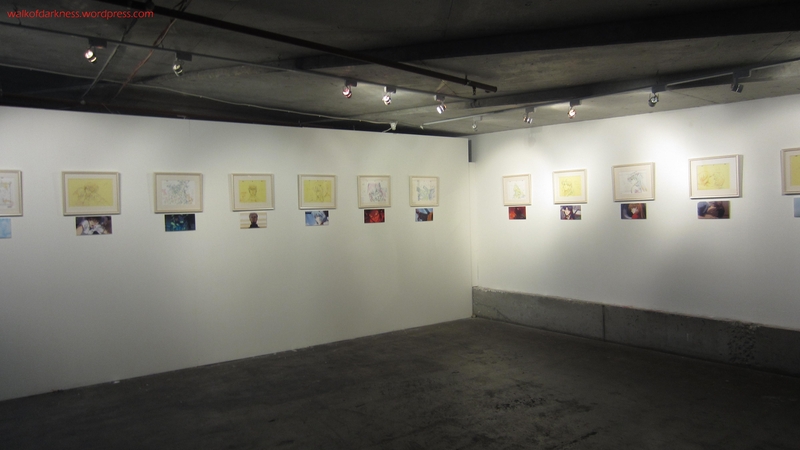 Melbourne is its third and final stop in the country and will remain at the No Vacancy gallery until the 9th of June, 2013 after having previously been showcased in the Gold Coast & Sydney. There is an admission fee of $5 as well. 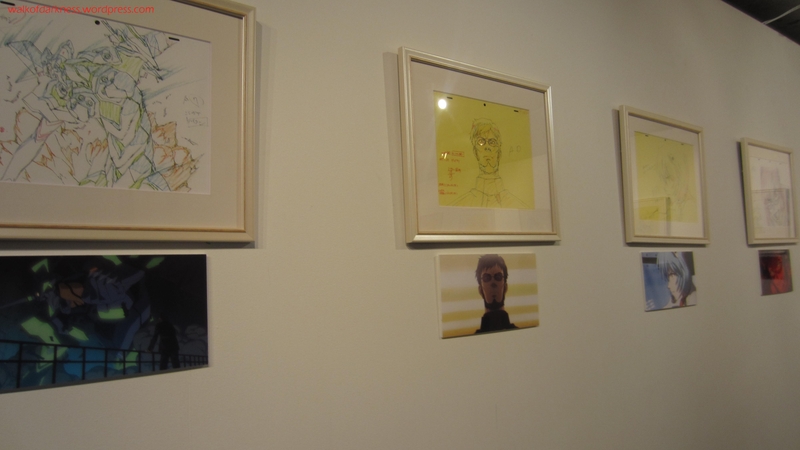 The exhibition itself isn’t very big and mainly consists of production sketches and artworks, but this is the first time Madman has arranged this sort of thing. They hope to be able to do a similar exhibition on a bigger scale in the future should this venture be a success for them. Let’s hope it is. In addition to the production sketches and artworks. 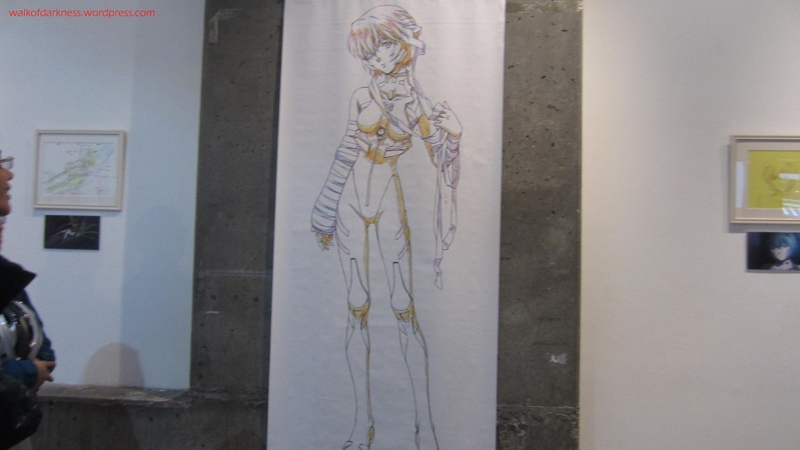 Two life-size wallscrolls featuring Rei Ayanami and Asuka Langley were presented along with the production sketches on the wall. 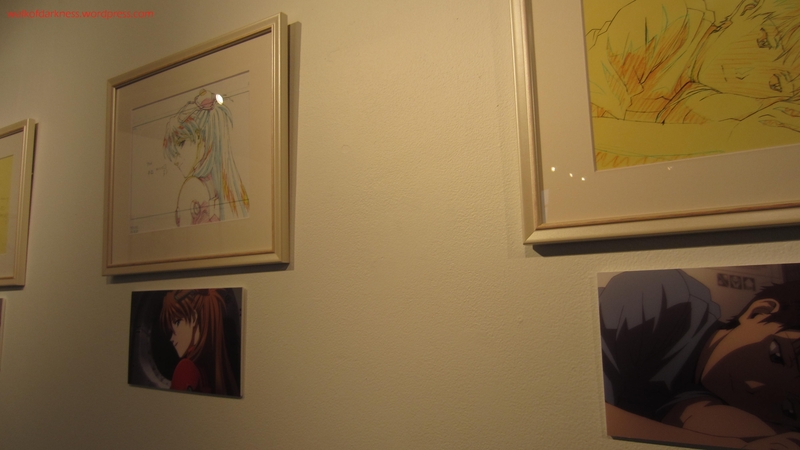 There was also a panel of screens wired together in a corner of the exhibition with scenes from the anime series playing. 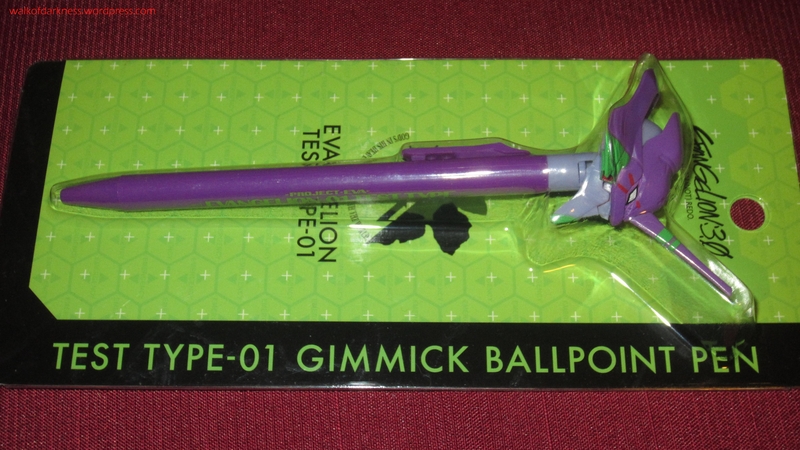 Now onto the interesting stuff…the exclusive merchandise! 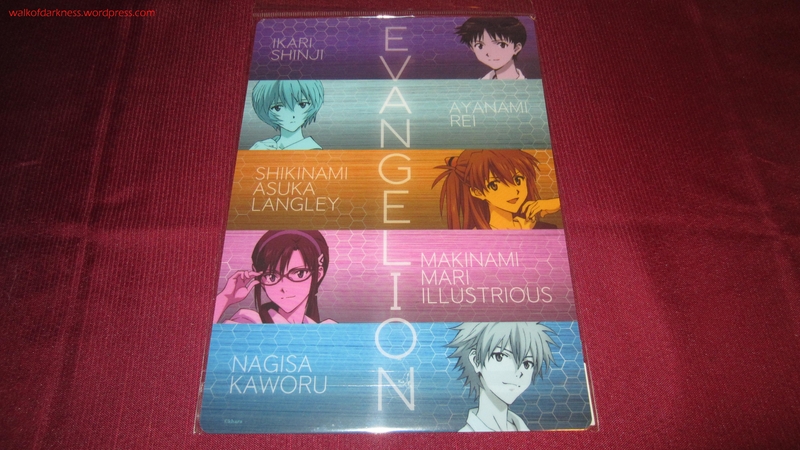 Madman had created a product info page of some of the Japanese exclusive theatrical merchandise they were able to bring over to Australia to sell at the exhibition. I was only keen on getting the mobile phone stand but was sadly told that only ONE of that had been allocated for Melbourne and happened to sell out on the opening day of the exhibition (which I didn’t attend). 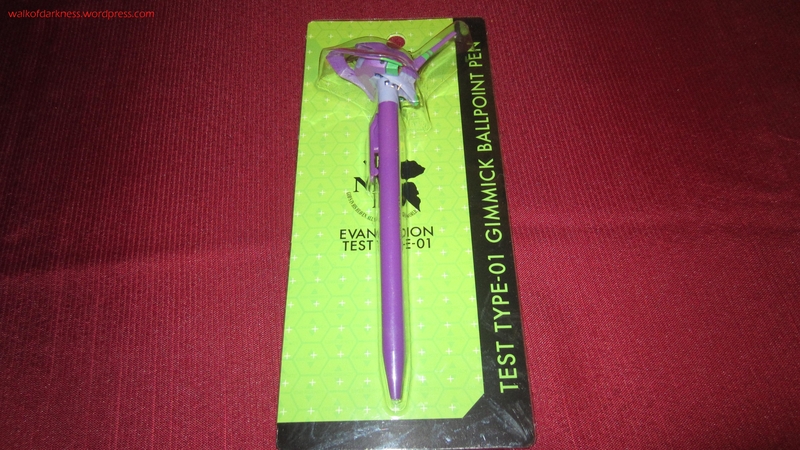 Oh well, having looked at whatever was left for sale, only two items got my interest in buying which are a pencil board and a ballpoint pen. 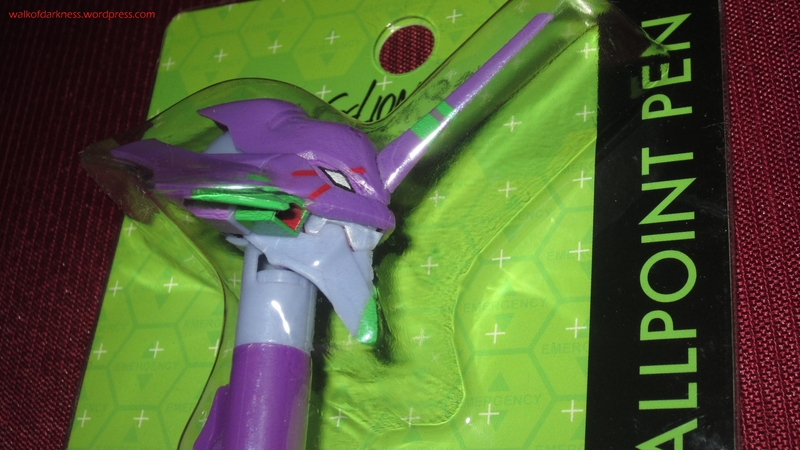 The head can apparently open when pushing down the pen for the tip to come out, or that’s what I’ve been told anyway. Haven’t opened it yet to try that lol. 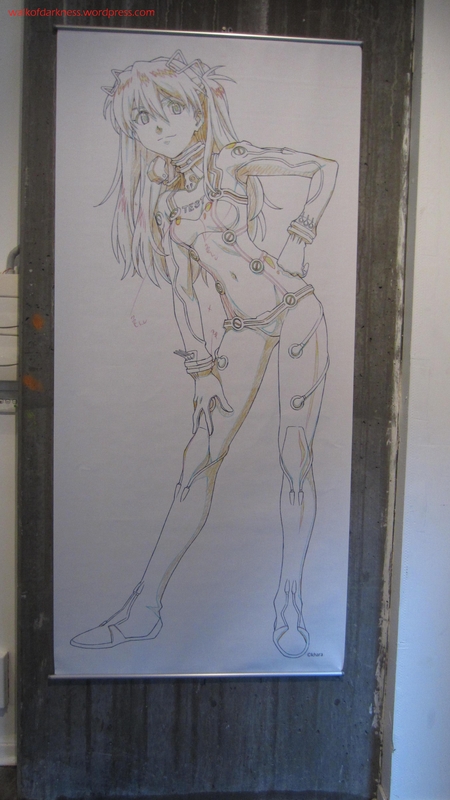 Getting back to the exhibition, all of the artworks and wallscrolls will be returned to Japan once the tour finishes on the 9th of June, 2013. 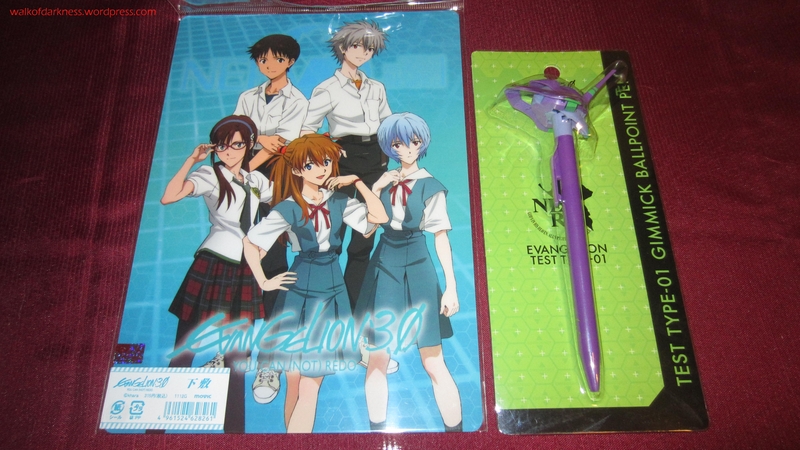 I recommend those in Melbourne who are Eva fans or interested in anime to go check it out asap before it ends and maybe grab some exclusive merchandise of whatever is left there before they possibly sell out! I know it’s a late post, but I had the same experience in San Francisco 2012. 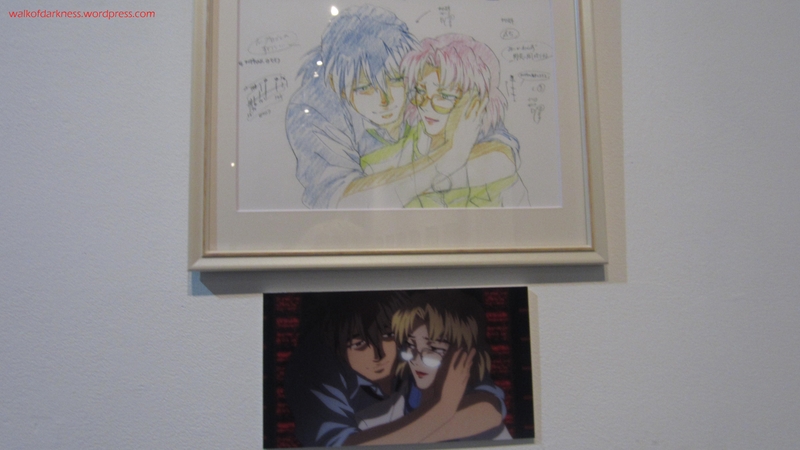 Those Evangelion movie production drawings are awesome and It’s a great way to show that anime is not created magically with push of some buttons.